It’s April again, and that means that Easter is upon us. From a dental perspective, that means another holiday that includes many sugary refreshments. You may wonder how to fight off cavities in a time filled with chocolate bunnies and marshmallow chicks – particularly in the case of your children. Luckily, Ria Family Dental has the tips you need to protect the health of your smile and that of your family. To help you navigate the sugary Easter season, Ria Family Dental offers the following information on the dangers of Easter sugar and six tips on how to deal with it. The World Health Organisation recommends keeping “free sugars” to below 12 teaspoons daily. 50% of Australian adults exceed this limit, and during Easter week the numbers become even worse. Let’s take a look at why. Large Dove Milk Chocolate Easter Bunny – 48 teaspoons. So what’s the danger? Here are five of the most significant issues. Feeding oral bacteria that leads to cavities. Sugar is the preferred food source of the oral bacteria that attack your dental enamel. Overindulgence in sugar can also lead to oral infections, oral decay, and periodontal disease. Increased obesity risk. Besides adding extra calories to your diet, sugar triggers an insulin response that blocks your body from feeling full after eating – so you eat more. Sugar crashes. Sugar burns quickly through your system, bringing a burst of energy that leads to a “crash” about 30 minutes later. These surges are uncomfortable, unhealthy, and can lead to insulin resistance and diabetes. Cognitive Decline. Eating excessive sugar can cause cognitive decline and brain fog. So, how do you avoid dental and health issues during the Easter holiday? Start the day with healthy food. The rest of the day may be difficult to control, but breakfast is not. Greek yogurt, green smoothies, protein shakes, and eggs and are all examples of super-healthy and teeth-friendly breakfasts. Stay away from sugary cereals and juices. Wait to brush after eating candy. After eating the sugar and acid remain in your mouth. It is a good idea to wait for over 30 minutes before you brush your teeth. The duration you wait depends on how much water you took to neutralise acid in your mouth (there’s a bonus tip – drink lots of water when eating candy!). Even though tooth enamel is durable, brushing too soon after eating can damage it. Enjoy your Easter eggs at mealtimes, rather than between meals. A mouth that is already producing saliva will do a better job of fighting off the acid attack. repair the early effects of tooth decay by remineralising tooth enamel. Avoid hard and sticky sweets. Sticky sweets often get caught in between the teeth and are hard to flush away. When they sit between the teeth, your enamel begins to break down. Also, eating hard candies often leads to chipped or broken teeth. If you must have something sweet, opt for some dark chocolate instead. Choose “good” candies for your children. Candy bars with nuts: Nuts help break up the stickiness of candy. Homemade baked goods: With homemade baked goods you can control the amount of sugar in the food, or use sugar substitutes that are less harmful to teeth. Dark chocolate: Believe it or not, this is the best candy alternative of all! Chocolate with a cocoa level of 70% or more is best as it contains natural chemicals that limit oral bacteria and neutralise microorganisms that cause bad breath and prevent some sugar from turning into acid. Its great plant-based antioxidants have also been proven to slow tooth decay! After Easter, schedule an appointment with your dentist at Ria Family Dental. Ria Family Dental in Yeronga provides complete care for short and long-term dental care needs. We provide an honest, accurate, judgment-free environment in which we practice comfortable convenient, and conservative care designed to maximise your smile and oral health! 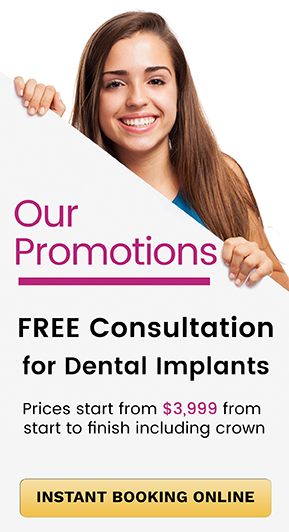 Yeronga dentist is also serving local communities in Yeerongpilly, Annerley, Tarragindi, Rocklea, Fairfield, Tennyson, Graceville, Chelmer and Moorooka. Our dental clinic is at 1/451B Fairfield Rd. Yeronga Sation and bus stops are nearby, and we offer convenient storefront parking. For your convenience, we offer early evening hours on most weeknights. Call us on (07) 3892 1331 or book your appointment online. We are located at 1/451B Fairfield Rd in Yeronga.